All types of auto accidents have the potential to be devastating, physically, financially, and emotionally. However, no type of auto accident is more likely to have catastrophic consequences than an accident involving a large commercial truck. Big rigs, 18-wheelers, and other large commercial vehicles are inherently dangerous; they are far more difficult to brake and steer than smaller vehicles, and their sheer weight and size make them hazardous for all but the most experienced and well-trained drivers to operate. Victims of trucking accidents are more likely to suffer permanent injury or death than victims of any other type of motor vehicle accident. Just as large commercial trucks should only be operated by experienced drivers, litigation of accidents involving commercial trucks should only be handled by experienced attorneys. The Torrance personal injury attorneys at the Law Offices of Edward Deason have the skill, resources, and extensive experience necessary to successfully handle even the most complex truck accident claims. If you or a member of your family has been seriously injured in a collision with a large commercial truck, or if someone you love was killed in such an accident, please contact Edward Deason and his legal team in Torrance today for an evaluation of your case. 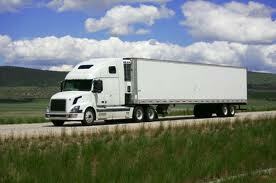 Truck accident cases are more complex than cases involving other types of auto accidents for several reasons. First, establishing liability in truck accident cases can be complicated because one or several possible parties may be at fault. For instance, the operator of the vehicle might be partially at fault for committing a negligent act behind the wheel, such as might happen while driving under the influence of drugs or alcohol or driving while fatigued. The company that employs the driver, however, may share responsibility for the accident due to a failure to screen the driver carefully before employing him or her, or by encouraging the driver to ignore rest periods established by law. In cases in which faulty equipment contributed to the accident, the manufacturer of the equipment may be found solely responsible, or the owner of the truck may be found to share responsibility due to a failure to perform routine safety inspections. Any number of factors may have contributed to the accident, and it is up to the victim’s attorney to make sense of it all. The Torrance truck accident attorneys at the Law Offices of Edward Deason understand the importance of collecting evidence that can be changed or “lost,” such as driver’s logs and other important documents, in a timely manner. They work with the most skilled accident reconstruction experts and other professionals to conduct thorough investigations of truck accidents and present the strongest cases possible on behalf of their clients. For families who have tragically lost loved ones in truck accidents, our Torrance wrongful death attorneys can pursue compensation to cover not only present, but also future losses and expenses. As a client of the Deason Law Firm, you can expect to be treated with courtesy and compassion while we fight aggressively to assert your rights. For further information about commercial truck accident litigation, or to schedule an evaluation of your case, please contact the Deason Law Firm today.